You may have heard “Sour K on da beat” on a recent song possibly from Glokknine, SoldierKidd, or L.P.B. Poody to name a few. A bonafide street anthem, hit maker with a humble spirit and a musically inclined background. 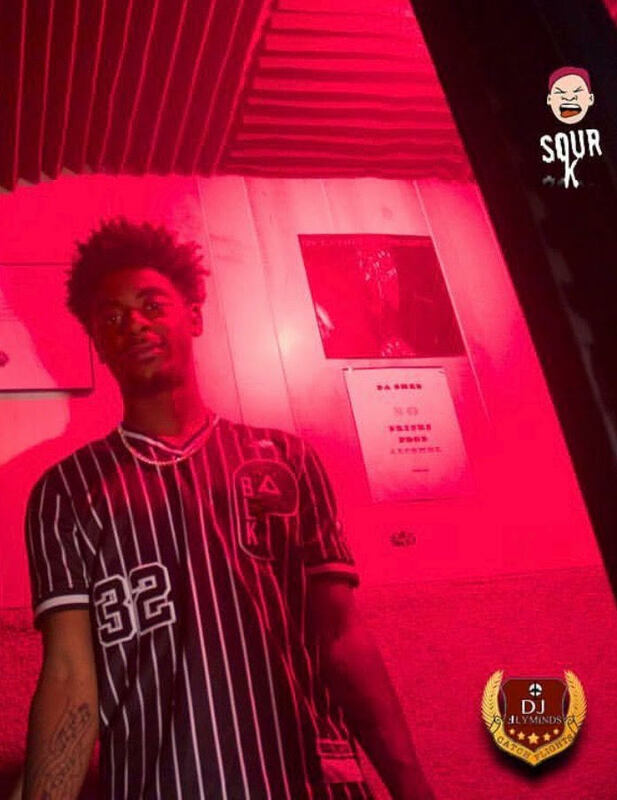 Sour K Beats is positioning himself to be the next Super Producer out of Florida. After maneuvering through the scene in early 2018 with his most notable song “10 Percent” going mixtape platinum and the music video reaching nearly 20 Million in half a year, he has followed up by getting multiple production placements on Glokknine’s sophomore mixtape, Loyalty Kill Love. He also played a part on a lot of LPB Poody’s debut mixtape & most recently, Soldier Kidd with his hit song named after the producer, Sour K. All of it added up as to why he is so important within the up & coming Florida rap scene; he is a defining factor in establishing Orlando as a city to be taken seriously, as they are building towards a mainstream level. I got a chance to go to Da Shed [@Rated.Ent on instagram] , the in-house studio where Sour K Beats, Sensei7Beats (Producer), and Nugget Foster (Engineer) have established a formula for making some of the most raw, catchy and soulful sounding recent rap songs out Florida. I was able to catch up with him and sit-down to ask him a few questions in an exclusive Q & A interview. DJ Keem: So, where are you from? DJ Keem: Is it a lot of good music coming out of there right now? Sour K: Nahhh, not really… it is in Orlando though! DJ Keem: You got a lot to do with it! DJ Keem: So what inspired you to start producing seriously in Orlando vs. back home in South Florida? Sour K: My daughter, she was born here. I had to do whatever to get on my feet and provide for hermake sure she straight… I just went in. DJ Keem: That’s what’s up. So, what’s the inspiration behind your beats? DJ Keem: Yeah, I can tell your beats got a unique musical flow. How do you feel about the Orlando music scene in general and how things have been on the come up? Sour K: I feel like everything is going the way we wanted it to. We put in the work & it happened the right way at the right time. DJ Keem: How many songs you got that’s Street Platinum (over 1,000,000 streams on mixtape platforms)? Sour K: It’s a few…I gotta think about it. Black, Knick Knack, 10 Percent. It’s a lot of songs. I’ve been working with a lot of artists on MyMixtapez too, so you’ll be hearing a lot of me. DJ Keem: So what’s your plan for the future? You dropping your own mixtape? Album? Sour K: I’ll probably drop a beat tape just to reach out to the artists I want to work with, so probably that. DJ Keem: How did you get the name Sour K? Sour K: My cousin actually made it based on a clothing line he’s pursuing right now …. look out for that Sour Kids clothing, but for me it’s just Sour K.
DJ Keem: That’s wassup, keeping it all in the family. Sour K: Yeah, everything I do right now is with family. DJ Keem: So in closing, is there anything you would like to tell the people? Anything to look out for or being released in the near future? Sour K: Nothing I can say, but definitely be on the lookout. Big thing coming soon. DJ Keem: Good rapping with you. Appreciate you letting me pull up. Sour K: Definitely, appreciate you! December 4, 2018 by keemdelacremedelacreme.